There were canisters all over the floor, smashed glass and food lying about. 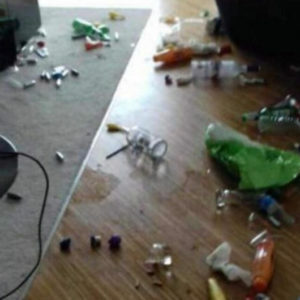 They damaged sofas and left cig butts and his Irish flag. He got people in there to clean because of the level of damage. It’s just been carnage. Just full-on partying.